The state of Oregon is one step closer to becoming the second U.S. state to allow motorcycle lane splitting. A bill that would allow the riding technique under certain conditions was passed by the Oregon Senate on Monday. The bill will now go to the Oregon House of Representatives for final approval. Passing the Senate comfortably with an 18-10 bipartisan majority (11 Democrats and 7 Republicans), the bill would allow rather limited lane splitting in the Beaver State. Riders would be allowed to lane split only when surrounding traffic is stopped or moving at less than 10 mph, and only on roads with a posted speed limit of 50 mph or more. Riders would not be allowed to split lanes at speeds any greater than 20 mph, nor would they be allowed to ride between two lanes going in opposite directions. California is presently the only U.S. state where lane splitting is officially allowed, though the technique is nominally tolerated in certain East Coast cities. Oregon state senators credited effective and intelligent campaigning by supporters for the bill's success in the Senate. Advocates will now turn their efforts to educating members of the Oregon House of Representatives. Lane splitting, also known as "lane sharing" or "filtering," is the act of riding between lanes of cars. When done effectively and intelligently, the riding technique has been shown to help decrease traffic congestion, as well as a rider's risk of being the victim of a rear-end collision. The practice is common in most countries around the world and is seen as one of the major benefits of motorcycling in the traffic-choked cities of Europe and Asia. Recent years have seen an increasing number of riders calling for the technique to be allowed in the United States, and within just the past few months, lane splitting bills have been proposed also in the states of Washington, Texas and Tennessee. The American Motorcyclist Association has also expressed its support for lane splitting. 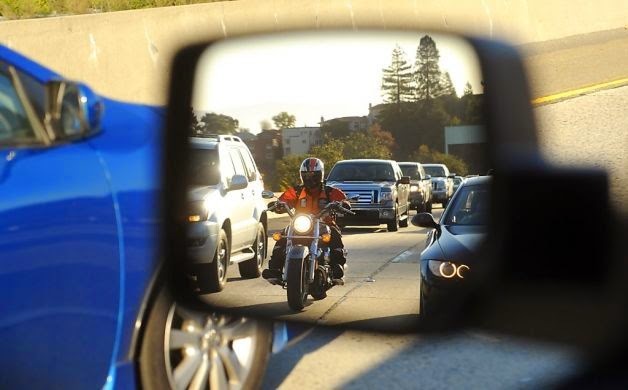 According to the AMA, in addition to the reduced risk of suffering a rear-end collision, other benefits to lane splitting include: "an increase in conspicuity because the motorcyclist is moving relative to other traffic; a reduction in motorcyclist fatigue from constant shifting and braking in stop-and-go traffic; a lessening of the risk for engine damage for air-cooled engines; a reduction in motorcyclists' exposure to ambient heat in the summer and car exhaust year-round due to fewer hours spent in traffic."